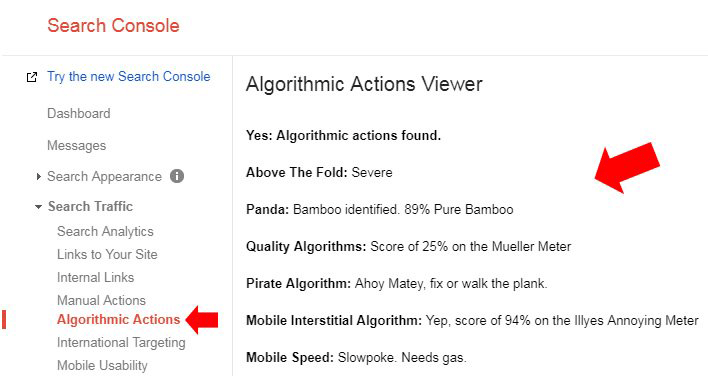 In short, a tool to see which algorithms hit a site or page, like they do with the manual action viewer. Of course, this is just a mock up and while Gabe is only half serious, he knows how interesting a feature like this would be. Google of course told us back in 2014 that this feature may come on day but later said it probably isn't going to happen. It is tough, they don't want to share too much information where SEOs can use it to manipulate the search results. They also do not want to get SEOs too focused in on one topic and obsess over one issue, versus making their sites better overall. 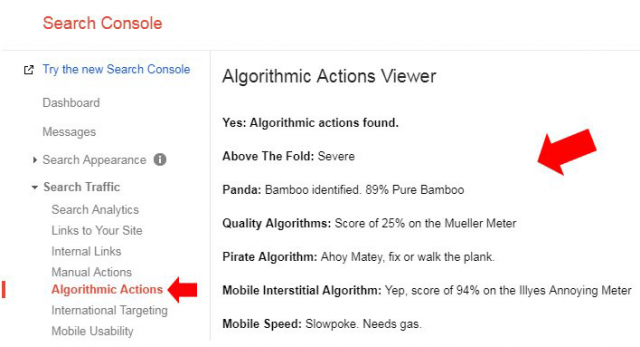 We know Googlers themselves can look up specific algorithmic issues with specific sites, heck, we saw they have a penalty server and we know Google employees can look up issues on the automated algorithmic side. So in seriousness, how do you suggest dealing with possibly millions of people hitting "Review" constantly? I don't mean that argumentatively. I have my own thoughts but curious to hear others. In any event, it would be super amazing if Google did release such a tool. Will it ever happen? I doubt it but maybe in a very limited form?